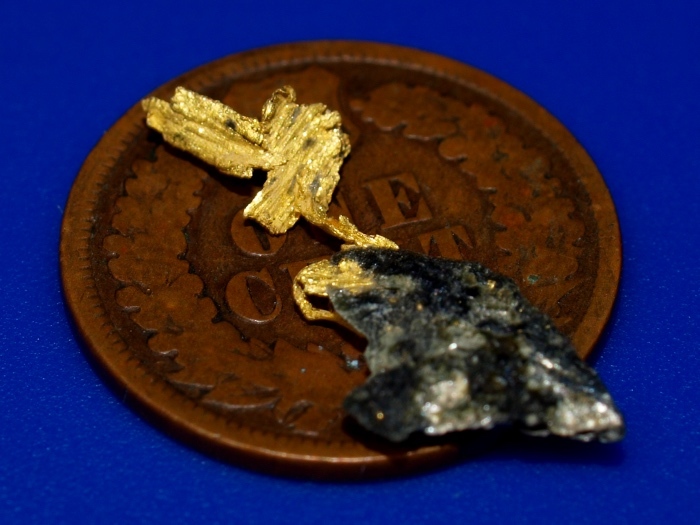 This is a very interesting gold specimen that originates from Northern California. It is a small "thumbnail specimen" weighing 0.33 grams. 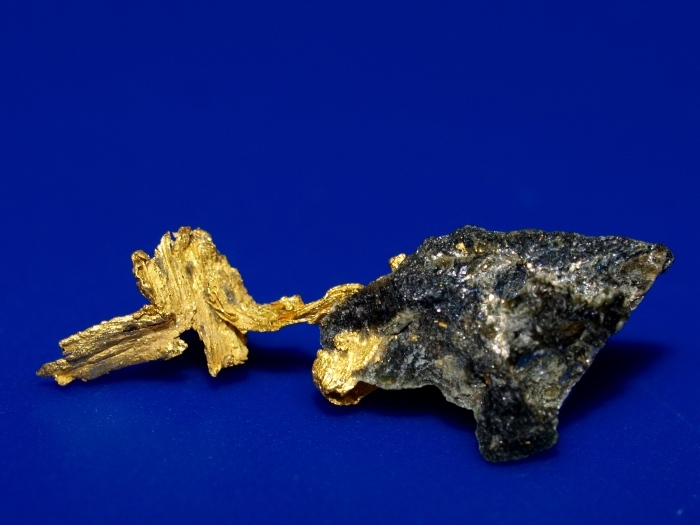 It has some interesting black schist material as its host rock, with a beautiful piece of leaf gold rising out of it. 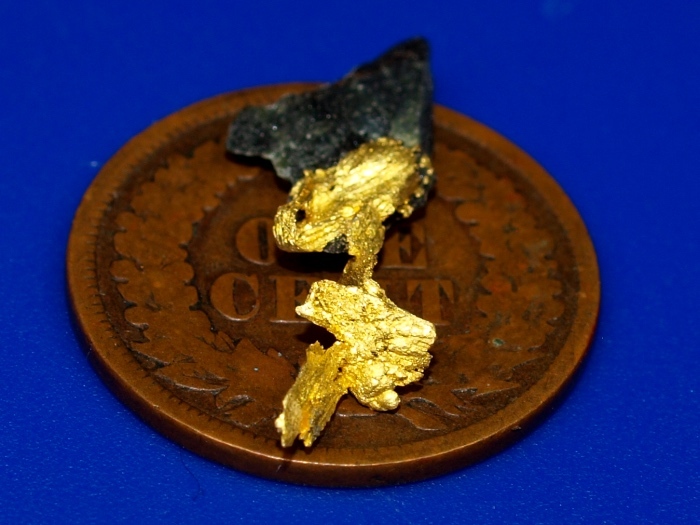 A very unusual and highly collectable mineral sample. The penny in the photo is for size reference only. It will ship for FREE and comes in a nice display case.